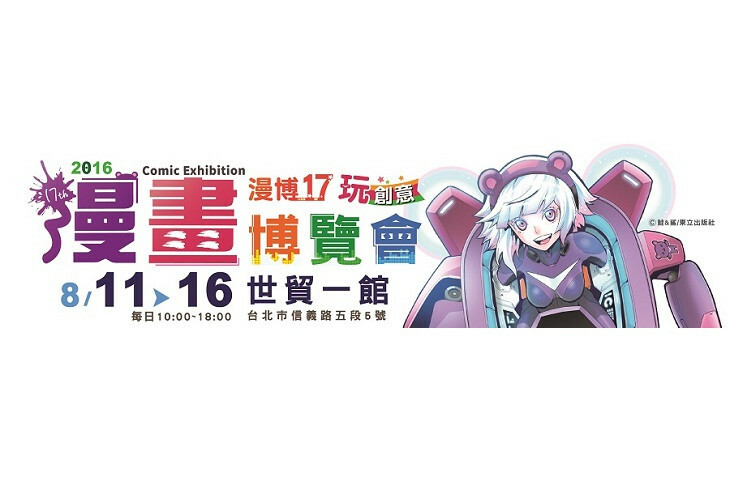 The Comic Exhibition has held for 17th since 1995 in Taiwan. The grand show of 2016 (17th Comic Exhibition) was held in 8/11~16 at Taipei World Trade Center Exhibition Hall 1. The exhibition had a total of 615 booths by 95 publishers, hosting over 500,000 visitors and generating sales topping NT$200 million. With yearly changing exhibition themes, thorough collection of books as well as film and TV information, creative relevant goods, and rarely shown animators, cartoonists and vocal actor masters, the Comic Exhibition fully expressed the multiple contents of anime, color diversity and life-touching affection, further drawing the attention of numerous anime group and media for the anime’s multiple creation, vibrant vitality, and the passion for anime could be released with friends! The marathon-style signature activities not only made the Comic Exhibition wonderful, but also drew huge business opportunities for the exhibitors and foreign buyers. The Chinese Animation and Comic Publishers Association was founded on June 26, 1998 by Taiwan publishers of comics, companies in the animation industry, firms involved in peripheral products and marketing companies. 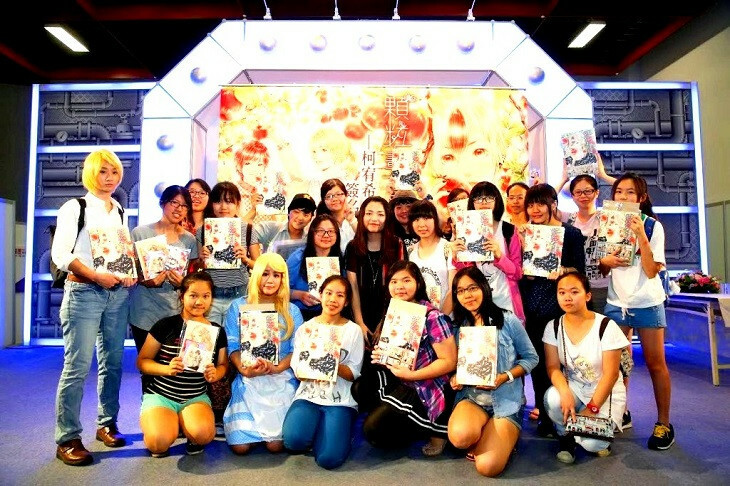 The organization is the most influential of its kind in Taiwan's animation and comics industry. ● About Kuei Exhibition Co., Ltd. The Kuei Jung Exhibition Co., Ltd. was established in 1989. The services we offer include exhibitions planning and operating, projects bidding, creative PR activities planning and operating. team that can improve efficiency in business development and maximize fair benefits. In the future, we’ll regard “specialty, kindness, efficiency, passion and creativity” as the spirit of the company and continually provide high quality services in the faith of sustainable development.